Our cliché impression that the Gypsies are a mysterious, fortune-telling people who might even put a curse on you if you cross them, strikes real fear into the hearts of outsiders. The Spanish culture as a whole (indeed, most cultures worldwide) seems to have much more superstition than we’re used to in North America. Even Spanish-language literature is full of magic realism, with a pervasive acceptance toward the suspension of disbelief. As a North American with almost no mystique about me, I find this to be both charming and amusing. I love to conjure up practical reasons for how a superstitious belief might have come about. For example, flamenco has a style called Petenera that is reputed to have Sephardic, or Jewish roots. It’s considered to be bad luck to perform it – to such an extent that some singers refuse to. Alternatively, I’ve seen singers reluctantly cross themselves on stage before singing one, just in case. In my practical imagination, walking down the street singing a Petenera during the Spanish inquisition would have been a clear indication that you’re on the wrong side of the politics of the day. Best case scenario would have been deportation, but more likely, a gruesome public death was in store for you and your family. So, yes, in that case, it was bad luck to sing a Petenera, and maybe the idea has just stuck around for a few centuries! 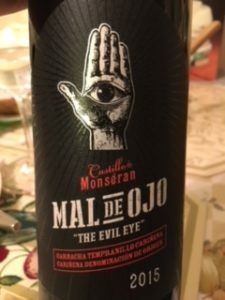 The other superstition I came across in Spain was the notion of the Evil Eye. My first experience with this myth among the gypsies was in a bar that I used to go to with many of the students from the school I attended in Seville, where I often saw a young gypsy girl selling lighters. One night I was engrossed in conversation with a fellow I had met from the school when she appeared. As my self-appointed protector, he sent shooed her away, earnestly warning me not to look at her: “They can give you the evil eye, you know!” I assured him that I was in no danger, but he wouldn’t rest until I promised not to put myself in harm’s way. At the time, I had no idea how pervasive this notion was; apparently, the Evil Eye has a long history throughout the Middle East, the Mediterranean and India. The well-known Hand of Fatima is a common antidote for it worldwide. The ancient Egyptian version of it is the Eye of Horus, or the All-Seeing Eye, which symbolizes sacrifice, restoration, healing and protection. There are two aspects to this superstition: fame, fortune, success or praise attract jealousy, the primary reason someone might give you the evil eye. The talismans are to repel the malevolent intentions of anyone who might take exception to your good fortune. The other side of it is that the evil eye can be given to someone who hasn’t fully earned their luck for their own good, to save them from the entitlement that would lead to their downfall. In flamenco culture, this is played up in the dance, although I’m not sure it’s entirely consciously connected with the superstition. One dancer I saw in a Seville tablao (a small flamenco performance venue) had a particularly effective ‘evil eye.’ During her performance, I found myself squirming in my seat to avoid her gaze, sincerely hoping she wouldn’t direct that glare at me. As it turns out, some of the local culture had either rubbed off on me, or I’m more superstitious than I thought I was!